Graded VG 3 by PSA. 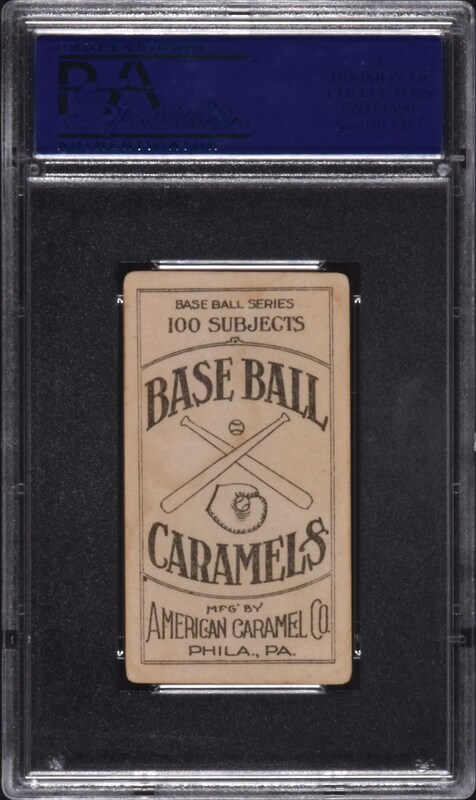 Superb example of legendary Hall of Famer Eddie Plank from the highly desirable E90-1 American Caramel series. Bright and clean, both front and back, with a perfect image set against a dark purple background, virtually no caramel stains, and evenly rounded corners. Centering to the left. 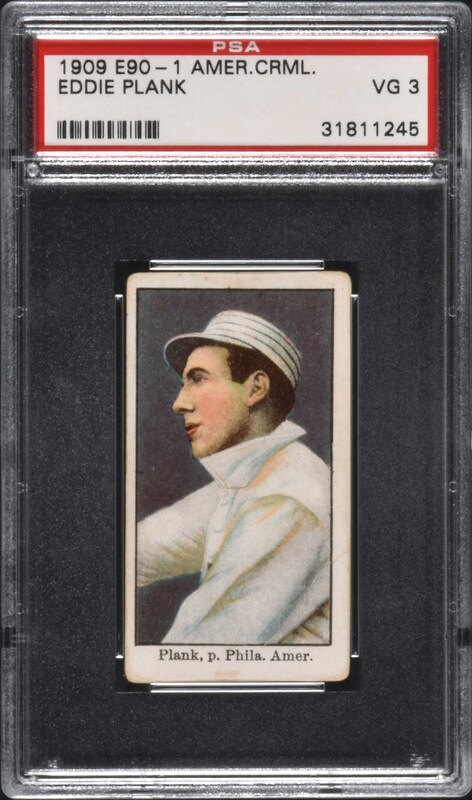 This is a very attractive mid-grade example of Eddie Plank, one of the key Hall of Famers from the most popular caramel-card set of the era. Reserve $200. Estimate (open).